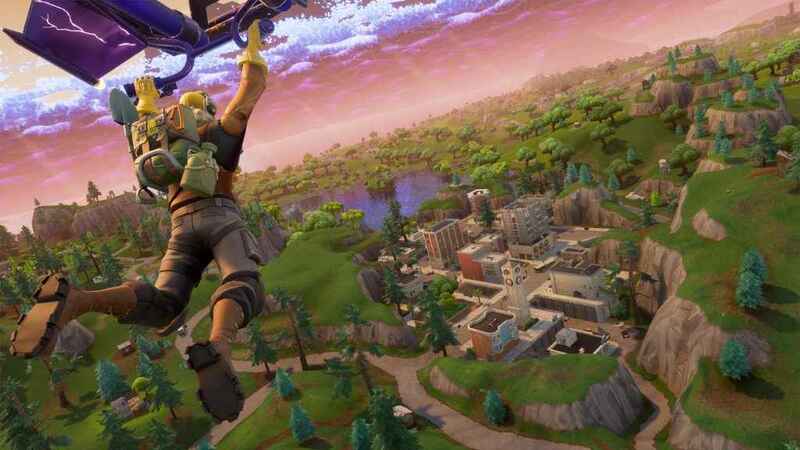 Fortnite’s week 3 challenges have gone live and the most difficult challenge is to complete three time trials. 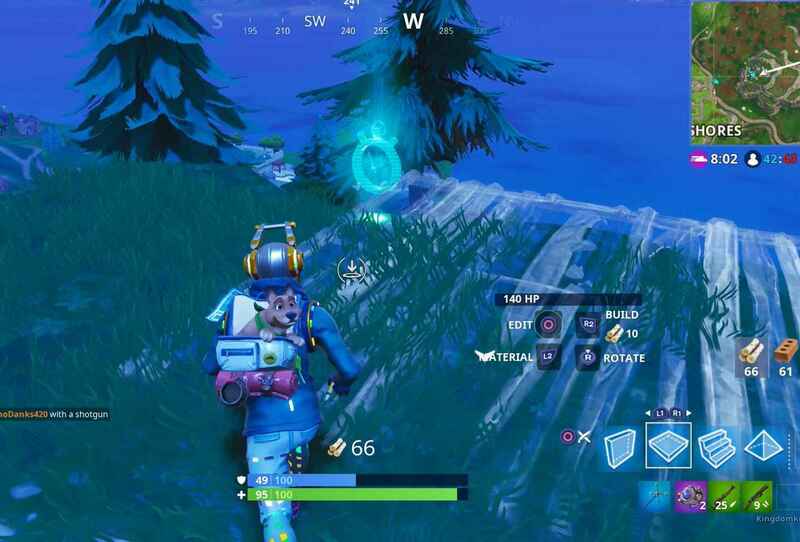 Fortnite Time Trials can be activated, tasking you to collect all the timers before time runs out. Luckily, we have a map of all the locations. Fortnite Time Trials: Where Are They? 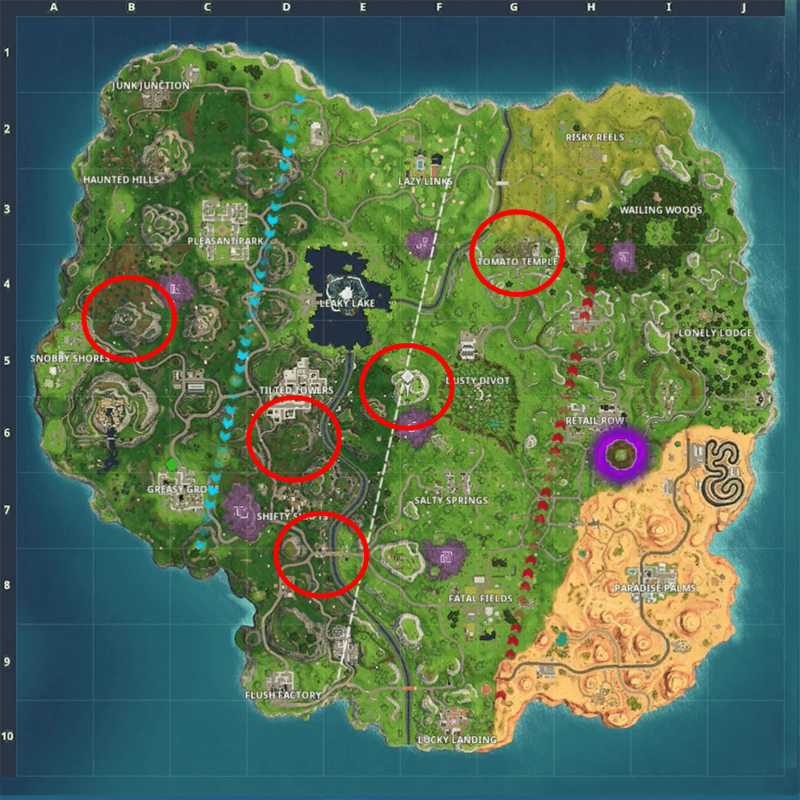 This map shows all of the time trials that have been found so far. They are denoted by a clue stopwatch, which you can interact with. Once interacting with the stopwatch, you have a limited amount of time to collect all of the others. Therefore, the best mode to complete this in is 50 V 50. Slightly North of Snobby Shores on a hill. South of Tilted Towers on a hill. On the mountain, west of Dusty Divot. South of Shifty Shafts, on the bridge. At the base of the main temple at Tomato Temple. Other challenges this week ask you to eliminate opponents in different matches, revive players in different matches, and hit a player with a Tomato from at least 15 meters away, making this week a difficult week of challenges. If you still need to complete last week’s corrupted zone challenge, check out the locations of the corrupted zones here. Will you be completing this tedious challenge this week?